At Yearwood Dyson* – Lawyers, we want every client to succeed. Whether you live in Surrey, Vancouver, Coquitlam, Langley, Pitt Meadows or Maple Ridge. Our Surrey injury lawyers have the expertise to represent your personal injury and ICBC injury claims in a fair, accurate, and efficient manner. Our two centralized law firms in Surrey and the other in Vancouver—make Yearwood Dyson* – Lawyers the ideal law firm to come to for legal care. We also service Coquitlam, Langley, Pitt Meadows and Maple Ridge. With the Port Mann Bridge and the Golden Ears Bridge, making travel over the Fraser River much easier, our offices are in a convenient location for the residents of neighbouring cities and townships to come and benefit from our services. We will also arrange a convenient meeting at your home or hospital. As an interesting place where rural and urban life come together, Surrey is home to a very unique landscape and boasts an exciting multicultural environment. At Yearwood Dyson* - Lawyers, we strive to offer legal services that match our diverse surroundings. Our competent and capable Surrey lawyers are on your side. Our Surrey and Langley lawyers at Yearwood Dyson* – Lawyers have covered a vast array of different injuries stemming from ICBC motor vehicle accidents: back and neck pain, depression, broken bones, headaches, brain injury. Practical, friendly and experienced, we are dedicated to coupling reasonable prices with exceptional legal services. Lawyers Chris Dyson (Injury Lawyer in Vancouver/Surrey area since 1998) and Patrick Yearwood (Injury Lawyer in Surrey/Vancouver area since 1980) are both extensively experienced when it comes to personal injury ICBC claims. They will fight for you for as long and as hard as is needed. 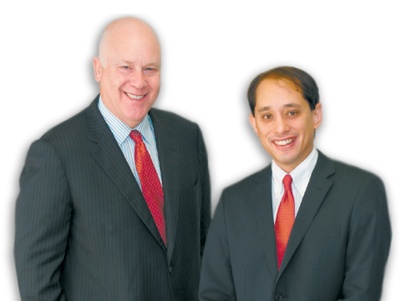 As Langley lawyers, we know how to ensure your settlement or trial process is as trouble-free as possible. We’ll help you reduce stress and save time by taking care of the legwork (paperwork, research, other complex matters) ourselves. You do not need to pay anything to our firm upfront. As a risk-free service, we require no payment for our fees until you are compensated. As your injury lawyers in Surrey, Vancouver, Coquitlam, Langley, Pitt Meadows and Maple Ridge, we are more than willing to meet you at either of our offices or we can arrange a meeting at your home, hospital or workplace. If you have an ICBC claim to file or want more information, contact us today or book an appointment online. Contact us at one of our convenient law firms located in Surrey or Vancouver. You can also contact our lawyers Pat Yearwood and Chris Dyson directly.